As posted previously, Insight Observatory is currently collaborating with Mr Michael Gyra and his "Astro Junkies" at Barnstable High School, Barnstable, Massachusetts. Mr Gyra has all five of his senior astronomy classes utilizing the Astronomical Telescopes for Educational Outreach (ATEO) online remote robotic telescopes to image deep-sky objects in the night sky. 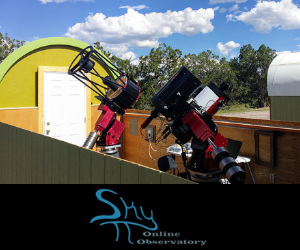 The students are using Insight Observatory's Educational Image Request (EIR) form to submit their image requests to its 16" f/7 reflector remote telescope located remotely an elevation of 7,778 ft in Pie Town, New Mexico. NGC 2264, The "Cone Nebula" in Monoceros - Imaged on ATEO-1 by Colby P. and Anthony A. "I, along with all of the astronomy classes, am very grateful that Insight Observatory gave us the privilege to image celestial objects of all kind, and am thankful for the Barnstable Educational Foundation for their generous grant to make this possible. Not only did this opportunity allow us the chance to learn more about telescopes, imaging, and celestial bodies, but it, more importantly, gave us a picture to call our own and carry around with us forever. My partner and I knew we wanted to image a diffuse nebula so we searched for the coolest gaseous shapes we could find. 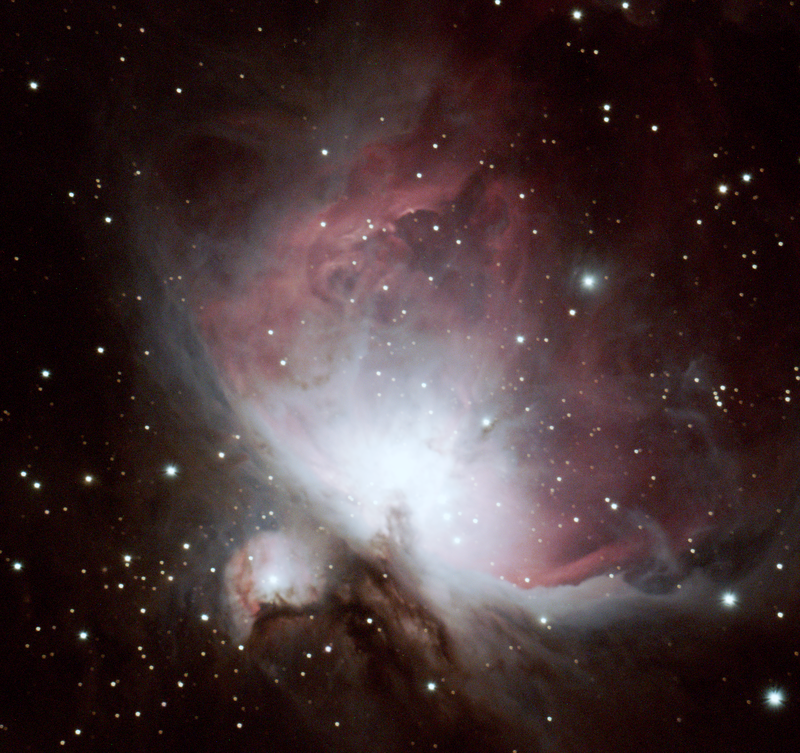 We ended up by choosing the Cone Nebula which is shaped like a cone, hence the name. The Cone Nebula is catalogued as NGC 2264 located in the constellation Monoceros, located nearly 2,700 light years away from Earth. We were expecting a very cool image, but what we received was even better than I could have imagined. 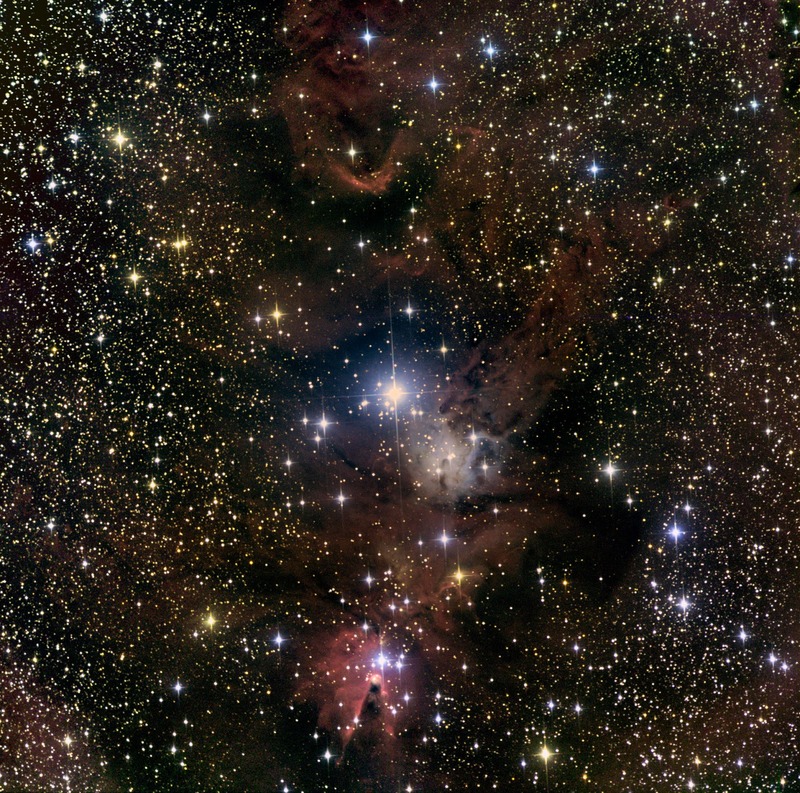 Not only did the telescope capture the Cone Nebula, but it captured the Christmas Tree around it as well. In the image, you can see stars of all colors and magnitudes, gases from nebulae, and much more to wow the eye. Insight Observatory provided us with the opportunity of a lifetime because I’m sure many of us may never have a chance to image the heavens again. I hope that many other classes and schools can provide their students with the educational outreach our teacher Mr Gyra has, in finding wonderful opportunities like Insight Observatory has to offer. Not only is this an educational learning experience, but it is more than that, possibly life-changing. It has given me a different perspective on what is beyond Earth and our solar system and has piqued my curiosity about what is over our heads in the cosmos. Colby P., Barnstable High School "Astro Junkie"."